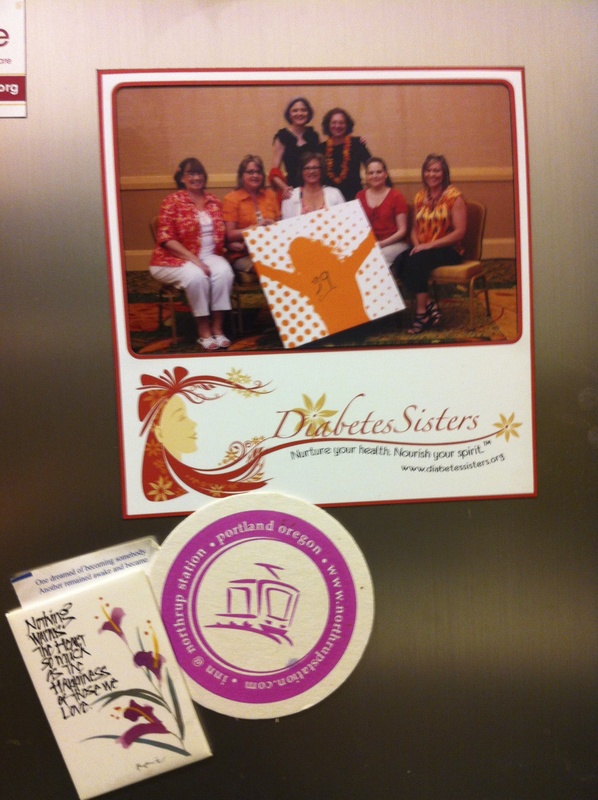 Last April at just about this time I was the dinner speaker at Diabetes Sisters’“Weekend for Women.” One hundred women with diabetes gathered in Raleigh, North Carolina for a weekend of bonding and learning. The weekend’s theme was ‘Celebrating Our Strengths’ and that was the theme of my talk. 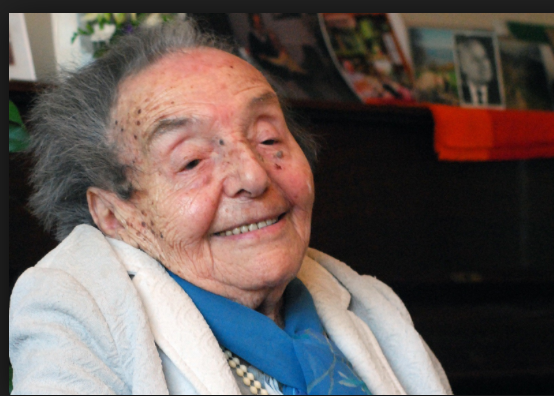 I began with the life story of Alice Sommer Herz, the oldest living survivor, now 108 years old, of the Holocaust. You are probably wondering, as were the women gathered in front of me, why I would talk about a Holocaust survivor? This is why: Alice is a perfect example of using our strengths to get through troubling – for her harrowing – times, and thrive. Alice, her husband, Leopold, and their six year old son, Stephan were rounded up and sent to the Nazi concentration camp Theresienstaadt. Alice’s mother had been sent there three months earlier. Her mother would die in the camp. Her husband would die in an extermination camp and Alice and her son would two years later be freed. When Alice entered the camp she was already a budding concert pianist and she was ordered to play in Theresienstaadt’s orchestra. She knew she had a choice: refuse or resent the request or let music be her salvation and release her from the day to day suffering. Forty-four thousand people lived in the camp barracks that were built for three thousand. A piece of bread and bowl of broth was all they got to eat for the day. But Alice let go of anger, which could have destroyed her strength and spirit, and chose to play music with an open heart. Alice survived, one might say thrived, under such austere, horrid conditions because she did not succumb to anger, resistance and hatred. Do you see a connection now with diabetes? She spent as much time as she could doing what she loved, playing music. She found a personal reason to stay as healthy as she could, which was to protect her son. And she remained hopeful for a better future. Throughout, Alice did not hate but maintained her optimism. As Alice wrote in her book, “I have never learned to give up hope.” And neither should we. I took my weekly walk to Trader Joe this morning and as life sometimes serves up unexpected connections I found the woman behind the cash register has a son with type 1 diabetes. She told me reading the logo on the jacket I was wearing. He got it at three and is now fifteen. I felt our immediate bond as she packed my greek yogurt both smiling and looking apprehensive. She told me his A1C, and her concerns. “How will he ever be able to take care of himself? I worry,” she said. I was surprised, why wouldn’t he be able to take care of himself? We find our way. As I swiped my credit card she told me she’s heard there should be an artificial pancreas in his lifetime and this would really help. I said with some confidence that I thought probably within ten years. Then she said, “but still I don’t know how if he’ll be able to take care of himself.” As the eggs went into my bag, I heard her say “autism.” I had missed it earlier. Yes, her son has type 1 diabetes and autism. My heart heaved for a moment. There are many times I feel invisible with this disease. No one notices all the work I put in behind the scenes to stay well. Certainly no one in Trader Joe knew I had diabetes, including the woman now ringing up my sale, until my jacket started a conversation. Before lifting my bag of groceries, I took her hands in mine. She said, “I hope it will be OK.” I thought what can I say? I said, “I hope so too” and over a shared smile, turned and walked back into my life. I relayed this story to my husband over lunch. I said, she must feel the same as me, unseen. How many people know her son has type 1 diabetes and autism? How many people know how hard she works to help him and her worries for his future? I wonder do her co-workers know? I can’t imagine. In telling my husband this story he said, “Write it.” And so I have. I happen to believe that positive psychology can be a force for good – good for one’s self, and like the rings in a pond that ripple out, good for others. Whether it’s writing down at the end of each day three positive things that happened – many call this keeping a Gratitude Journal – or painting a picture in your mind of yourself at your best, which then generates actions on your part to make that picture real, positivity is a powerful force. 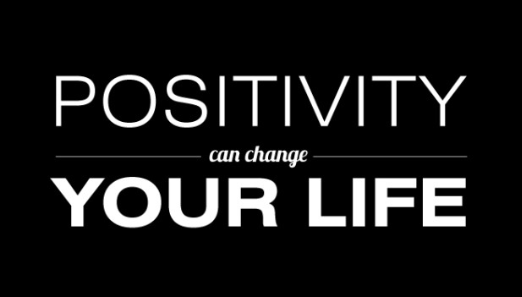 By positivity I don’t mean wishy-washy positive thinking, affirmations and telling yourself everything will be O.K. when you don’t really think it will. I mean focusing more on positive things that happen around you and to you as well as using more of your positive emotions: kindness, forgiveness, patience, curiosity, wonder. As social scientist Dr. Barbara Fredrickson’s research reveals, the more positives we associate with in our lives the more robust we are: more creative, more open to possibilities, flexible, emotionally strong, physically healthy and socially connected. As Dr. Boyatzis’s, organizational psychologist at Case Western Reserve University, research reveals the more positively-focused we are, the more we stimulate neurons in the brain that open us up cognitively, perceptually and emotionally. In other words, it pays to be hopeful, to dream and to look on the bright side. Yesterday my friend Miriam Tucker was in New York and we had an interesting discussion over lunch about this topic. She had recently written about it. You might like to read her article. While we tend to shy away from being hopeful and positive for fear it will brand us Pollyanna-ish or we’ll end up with egg on our face if we fail, why not conduct an experiment? It was found that people who kept a Gratitude Journal for 2 months reported feeling happier, with fewer physical problems and increased their physical activity. They also benefited from sleeping longer and feeling more refreshed. I keep a gratitude tally in my head most days, noting at some point three positive things that have happened. While I can’t tell you what it may set off in my brain, I can tell you it rewards me in the moment with a warm glow. This is my full interview with Mark Sisson, health and fitness expert and author of the newly updated book, The Primal Blueprint. Q: Tell me what the “Primal Blueprint” is in a nutshell? Mark Sisson: For over 200,000 years, homo sapiens were hunter-gatherers living in “the wild,” eating plants and animals. For the last 9,900 years, our ancestors lived on unprocessed, whole foods, with few modern comforts. It’s only in the last 100 years that we’ve started eating industrialized, processed food and living sedentary lives. So, we’ve got 200,000 years of eating animals and plants versus 10,000 years eating grains versus 100 years eating mutated grains, refined sugar and vegetable oils. The Primal Blueprint is a lifestyle whose tenets are informed by biological evolution, traditional wisdom, and modern science to form a healthy, sustainable, enjoyable way of being. It’s a way to eat, move, sleep, and simply exist with our ancient genes in this modern world – taking advantage of modern science and drawing upon lessons of our evolutionary background. Q: You talk in your book about one being a “sugar-burning” or a “fat-burning” person. What does that mean? Sisson: A sugar-burner requires a steady drip of dietary sugar – fructose and glucose – to maintain energy levels. So they can’t go long without eating. They burn basically carbohydrate and have difficulty accessing their stored body fat to use for energy, and in terms of weight loss, burn their fat. A fat-burner uses both their body fat and dietary glucose for energy and end up burning fat which leads to weight loss. Also, if a fat-burner skips a meal, it’s okay because he can run for days on his own fat (adipose) tissue. Q: Even though our earliest ancestors may have eaten as you suggest in the Primal Blueprint, our more recent ancestors have been eating grains and beans for thousands of years. Have we not adapted to this way of eating? Asians were always thin eating their diet of rice and noodles, how do you explain that? Sisson: Rice is the least offensive grain. It’s basically pure starch as opposed to something like wheat. It has no problematic lectins or plant proteins that interfere with digestion or disrupt satiety signals to the brain. In Asian countries they used to eat only foods like rice, meat, vegetables, all cooked in animal fat, and every day life was active. Now diabetes, heart disease, and obesity are on the rise because, like us, they’re eating more wheat, sugar, and vegetable oils and moving less. And no, our bodies haven’t evolved to catch up to our diet today. Q: Most medical professionals regard burning ketones as a bad thing. The Atkins diet was criticized for that in the 1970’s. Yet the Primal diet depends on it. How do you answer them? Sisson: They mistakenly equate ketosis with ketoacidosis. The former is a viable physiological way of burning fat for energy. It burns cleaner than glucose and spares necessary glucose for the brain to use. The latter is a pathological condition that occurs when insulin isn’t around to keep ketone production in check. Ketosis is a perfectly healthy physiological state to dip into from time to time. Burning ketones, which isn’t the same as being in ketosis, let alone ketoacidosis, is always occurring in a healthy fat-burner. Q: I have type 1 diabetes. Making ketones has always been regarded as dangerous for people with type 1 diabetes. Is this diet viable for people with type 1 diabetes? Sisson: Making ketones, which leads to ketoacidosis, only occurs when there is insufficient insulin present to regulate ketone production. Making ketones is different than burning ketones. As long as a person with type 1 diabetes is aware of this and manages this, there shouldn’t be a problem. I get a fair amount of feedback from people with type 1 diabetes who have had successimplementing the Primal Blueprint. And it can help with managing the disease. I would tell any patient to let their doctor know before undertaking any massive lifestyle change. Q: Why do you believe eating Primal is the way we were meant to eat? Sisson: I tried eating “the right way” for over thirty years and it nearly killed me. I was the paragon of fitness, a competitive marathoner and triathlete who ate whole grains and beans and watched my red meat intake. It didn’t work. Since I have always been a student of human evolution, I got my degree in biology, I started thinking about health in terms of nutrition and fitness. I did a lot of research and self-experimentation and trained tons of people, enough to realize that the Primal way of eating works. And I’ve found it works for just about everyone who gives it an honest try. Q: What are people most satisfied with about the Primal diet/lifestyle? Sisson: That it’s not a struggle, that its seems to come naturally once you get it. People like a lifestyle that emphasizes delicious, fresh, wholesome food, simple and effective exercise, lots of leisure and relaxation, good sleep and quality time with loved ones. Q: Is there any scientific research to support this diet? Sisson: Careful parsing of the nutritional literature is actually the basis of many of our recommendations, but there have been several paleolithic diet controlled studies. In one notable study by Lindberg out of Sweden, diabetic heart disease patients were put on one of two diets: Paleo (very similar to Primal) or Mediterranean. Paleo allowed no dairy, no grains, and had more meat, eggs, vegetables, and fruit than the Mediterranean diet, which was high in whole grains, legumes, vegetables, fish, margarine and low-fat dairy. Both groups improved, but the paleo group showed significantly greater improvements. Q: What other eating approaches do you respect? And why? Sisson: I like well-designed vegetarian diets. My wife was a vegetarian for years, still is, for the most part, except for seafood, and she’s one of the healthiest people I know. As long as you’re not eating loads of pasta, but eating actual vegetables and plenty of eggs and quality dairy, I think you can be very healthy as a vegetarian. I have dozens of longtime readers who are vegetarian yet make this lifestyle work for them. Sisson: There’s nothing magical about beans or grains. They have no dietary monopoly when it comes to vitamins or minerals. Leafy greens, cruciferous vegetables, berries, and all the other produce we can eat provide plenty of micronutrients. Plus, many of those minerals in beans and grains aren’t absorbed. Phytic acid, found in most beans and grains, binds to minerals and prevents their absorption. Habitual grain eaters like birds and rats produce phytase, the enzyme necessary to break down phytic acid – but we don’t. So while those foods look impressive on paper, we’re not absorbing most of their nutrients. Traditional cultures that consumed grains and beans did so only after extensive soaking and fermentation, which improves the digestibility and deactivated most of the phytic acid. It also takes a lot of work and I’m just not willing to put forth that much effort. Complex carbohydrates like sweet potatoes are not allowed on some paleo plans but they’re allowed on the Primal plan. Roots, tubers, and other starchy, underground plant organs can be an important part of your diet, especially if you’re highly active and need the glucose. Q: How do you answer your critics like Dean Ornish who has scientifically proven that eating whole grains, and severely restricting the consumption of animal products and dietary fat reverses heart disease? Sisson: Dean Ornish has “scientifically proven” that avoiding processed junk food plus daily meditation, stress-reduction therapy, regular exercise, and a cessation of smoking tobacco results in a slight, not a major, regression of narrowing in the coronary artery. The Ornish plan isn’t just the diet. It’s an entire lifestyle change. Stress, lack of exercise, and smoking are all causally related to heart disease, so you can’t focus on just the food. I would agree with Dr. Ornish that removing processed carbohydrates, vegetable oils, and sugar is healthy. My program does all that too. I just disagree that removing animal products and healthy fat is a necessary component, and he has never proven that to be the case. Q: Do you believe people with type 2 diabetes would be better served by this diet considering that they are three times more likely to have a cardiovascular event, and this diet emphasizes eating saturated fat? Sisson: Absolutely. The last reviews of the medical literature have found that replacing carbohydrates with saturated fat does not increase the incidence of cardiovascular disease. Plus, this diet doesn’t emphasize saturated fat, it de-emphasizes toxic foods like gluten-grains and processed vegetable oils that are high in omega-6 and sugar. Sisson: It’s highly sustainable. A massive online community has sprung up around Paleo/Primal eating. In addition to my own cookbook, paleo cookbooks are being released every couple of months, and there are several dozen high quality Primal recipe blogs. We post new recipes every Saturday and link to others every Sunday. To cut down on prep time, I would devote a Sunday afternoon to making a week’s meals. A big pot of stew, chili or curry, some parboiled vegetables, some sliced fruit, grilled meat that you can simply heat up or eat cold. If you plan and prep ahead, making your own food gets a whole lot easier. As for produce, frozen vegetables are actually a more economical, longer-lasting, and often more nutritious option than wilted “fresh” produce. Q: Do you know any cases where the Primal Blueprint hasn’t worked? Sisson: I’ve seen people fail because they went too low-carb while trying to run 120 miles a week and train for a triathlon. Or because they went overboard with the “Primal treats” made out of almond flour, honey, and coconut oil, but I would say they were doing it wrong. I’ve never known anyone to fail when they removed processed, industrial junk food, started sleeping more and exercising better. Book Review: The Primal Blueprint gives both an historical background on why we should be eating like our earliest ancestors during paleolithic times and why we’re now eating like our neolithic ancestors, and that our bodies haven’t adapted to many of these foods. Furthermore, many of the foods we eat today, especially grains, have been genetically and environmentally modified causing insulin resistance and inflammation, the root causes of many of today’s lifestyle diseases. The Blueprint in the book gives you 10 steps for reprogramming your genes to transform yourself from a sugar-burner to a fat-burner, lose weight, heal your body and boost your energy. Also, the Primal approach is not just a meal plan, and Sisson covers a life system including fasting, bursts of exercise and strength training, sleep and stress reduction. What I like most: The book is written very simply and is a quick, easy and fun read. Men will probably also enjoy the cartoon-like characters Sisson uses to make some of his points. If you choose to try the diet, there is much support and more information on Mark’s blog, Mark’s Daily Apple. Mark’s written hundreds of articles about going Primal and provides recipes to help on the journey. I must also confide I like that on the Primal plan red wine and dark chocolate, in moderation, are allowed. Weaknesses: Mark’s enthusiasm will tell you this is a simple diet and lifestyle, but for the average American it probably isn’t. There is some repetition in the book and at times not as much specificity, or scientific evidence, as I would have liked. Take 2 and call me in the morning: With all lifestyle changes, talk to your health care provider before beginning this program. Personal note: I tried the diet for six weeks. I felt fine and lost 2.5 pounds, but I found myself constipated. I then put some complex carbohydrates back into my diet like oatmeal and beans. Now I follow a diet in-between the Primal Blueprint and low-carb with some complex carbs and dairy. I side with those who say too much carbohydrate, not too much fat, is the cause of most of today’s ills including diabetes.